Taking proper care of your gutters does more than increase the overall appearance of your home — it also protects your home from any potential risks and damages. 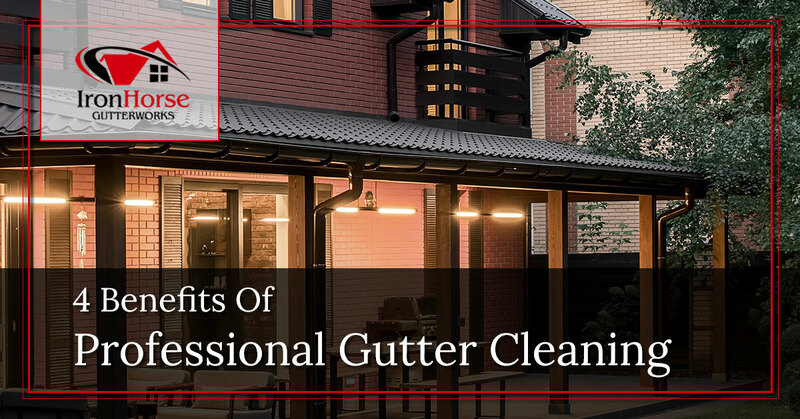 Instead of putting your safety at risk by tackling gutter cleaning yourself, you’ll find it’s extremely beneficial to hire a professional gutter company to tackle your gutter cleaning. At Iron Horse GutterWorks, we provide an array of gutter services, ranging from gutter cleaning to gutter repairs in Syracuse. 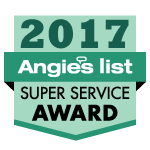 If you’re looking for reliable gutter experts to handle your next service, give us a call today. When you let your gutters clog with leaves and debris, they’re more prone to overflowing and breakage. When your gutters overflow and flood, the structure and foundation of your home is compromised. Get professional gutter cleaning services to ensure this emergency situation doesn’t happen to you. Pests have a funny way of making everything inconvenient, and that includes situations where your gutters are involved. Rodents or insects can build nests in your gutters, eventually causing them to clog up. A professional gutter cleaner can remove these nests before the pests cause any problems. Not only will clean gutters salvage the foundation and structure of your home, they’ll also improve its overall curb appeal. When you let your gutters leak and overflow, your garden and other landscaping features can turn into unsightly puddles and mud pits. Professional gutter cleaning will prevent this from happening in the first place. Would you rather spend a little bit of money now to ensure your property is protected, or spend a fortune later when your gutters inevitably need repairs? Investing in professional gutter cleaning will save you money in the long run, since you likely won’t have to deal with costly emergency repairs for your home. Interested in learning about gutter cleaning myths? Check out our recent blog post. Ready to hire professional gutter cleaners for your Syracuse home? Give our team at Iron Horse GutterWorks a call today. For years, we’ve been helping the local community with their gutter installation, repairs, cleaning and more. That’s why we’re one of the most trusted gutter companies in the area. For a free gutter quote or to schedule your next gutter service, contact us today. You can reach us by calling (315) 512-2424 or by completing our online form. © 2019 Marketing 360. Do Not Copy.